Wasabröd is a Swedish company that is the largest producer in the world of Scandinavian style crisp bread. 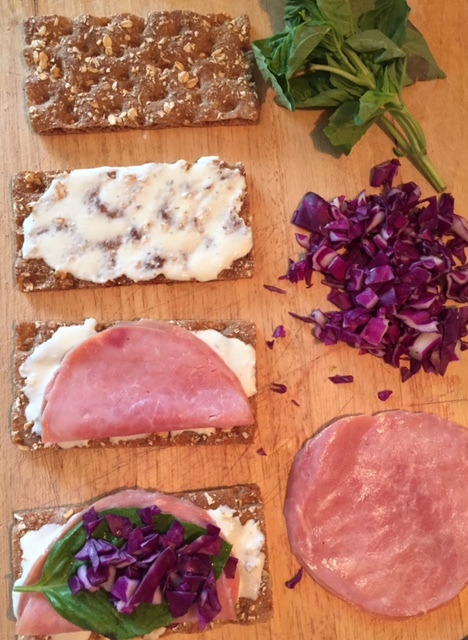 Wasabröd produces a wide variety of crisp breads, with the original crisp bread made of rye. Other additions since 1919 include sesame,wheat, oats, flax seed, and other grains. Like matzo, Wasa is noted for its shelf longevity. Wasa crisp bread is popular during the European “Oktoberfest‘ (a festival that takes place from mid-September through October). Oktoberfest comes once a year, with vibrant music, over-flowing beer, sausage, and colorful German costumes. It is a festival held every Fall to celebrate German heritage, and includes lots of great finger foods. 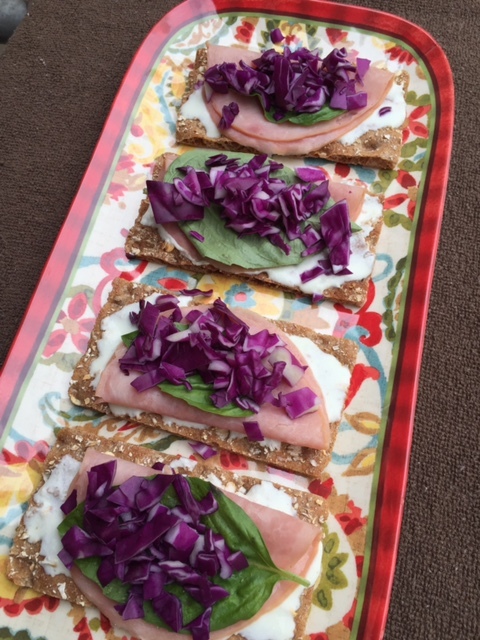 Our featured recipe is an inspiration of the German festival and the Wasa crisp bread: Greek Yogurt Dill Spread with Ham and Red Cabbage On Wasa Crisp Bread. Here is what you will need. You can find the recipe for the Greek yogurt dill spread by linking here: Greek Marinated Chicken with Butter Leaf Lettuce Salad. Prepare the yogurt-dill spread. Cut basil leaves from stems and wash (pat dry). Spread yogurt-dill onto a piece of Wasa crisp bread. Next top with a slice of lunch meat. We used a smoked black-forest honey ham. Next top the meat with a fresh basil leaf, and top that with the red cabbage. 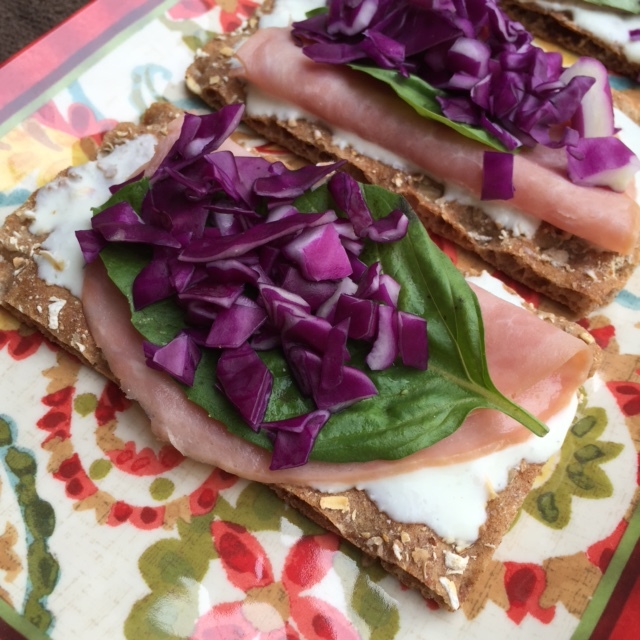 You don’t need to wait util the next Oktoberfest to enjoy this healthy and awesomely delicious finger food. When making your shopping list be sure to include a package of Wasa Crisp Bread (your favorite), and the accompanying ingredients. Oh, and it makes a great party favorite finger food. 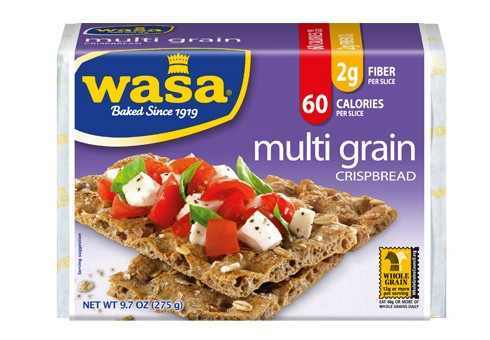 For more great ideas to topping Wasa Crisp Bread link here: Wasa – Since 1919. This entry was posted in Party Favorites and tagged Abdominal obesity, Acorn squash, Allergy, Almond, Antioxidant, Apple pie, Barbecue chicken, Basil, Brussels Sprout, crisp bread, Dill, finger food, Kroger, Oktoberfest, party favorites, red cabbage, Strained yogurt, Wasa Crisp Bread. Bookmark the permalink. What a delicious looking lunch.